Most recently, Megan performed the role of Rosina in Il barbiere di Siviglia with Summer Garden Opera in Virgina and as Meg in Little Women with MassOpera, where she was praised for her “warm and sonically sumptuous Meg.” Other recent engagements include soloist in Copland’s In the Beginning with Vox Humana in Dallas, Texas, Handel’s Messiah with the Rhode Island Civic Chorale and Orchestra, and Dixit Dominus with the Metropolitan Chorale. 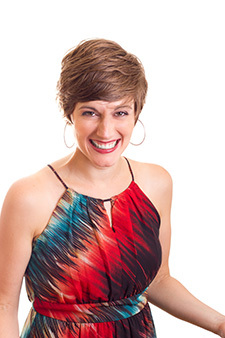 Megan is also the founder and artistic director of Calliope’s Call, a professional art song performance group based in New England, which presents unique and dynamic programs of art song by contemporary and new composers as well as traditional composers of the genre. Ms. Roth holds an Artist Certificate in Opera and a Master of Music in Vocal Performance from Florida State University. Ms. Roth is also an accomplished violinist, and holds a Bachelor of Music with honor in Violin Performance from DePaul University. Outside of her musical endeavors, Megan enjoys reading contemporary fiction, practicing yoga, and hiking with her husband Adam and their rambunctious Boston Terrier, Moxie. Megan belongs to Beyond Artists, a coalition of artists that donates a percentage of their concert fees to organizations they care about. She supports REACH Beyond Domestic Violence and Black Jaguar White Tiger Foundation through her performances.